Game Boy Australia: Pocket Music 10!! First Pocket Music of 2011 and it is a big one with Texan Sievert having his first ever show in Australia and being joined by the one and only Ten Thousand Free Men with support from AndyExpandy and Dot.AY. 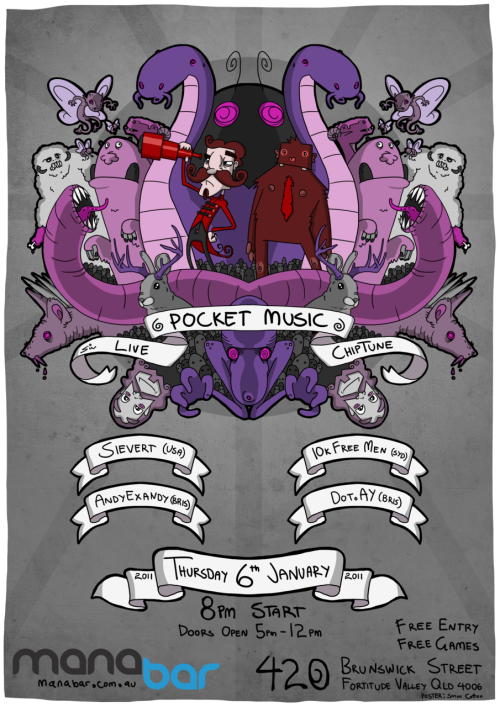 [Bris, Aus] January 19th, SUPER POCKET MUSIC!